Smart business owners know that there is a time to do things in house and a time to outsource. When you need to hire someone at a high executive level, using headhunters is usually a smart choice. This proves true whether your business is large or small. As a large corporation with a well-developed HR department for your general labor force and even for specialty positions, the workdays of your staffers are so packed with activity that you need a professional to help you fill certain positions you seldom hire for. As a small company, you simply do not have the time to do the due diligence necessary on candidates to make sure that they are a good fit for your business. The purpose of using headhunters is not to outsource decision-making about whom to hire. A good search firm will seek out candidates, carefully examine their credentials, and present them to you and your team. There are several circumstances in which these services could save you a lot of time. Your job opening is for a mission critical position. When you hire someone as a senior executive or high-level project manager, you need more than technical skills. If the person does not have the communication skills, the personality, the commitment, and the vision to pull people together to make a company or a project work, he or she is not a good fit for you. 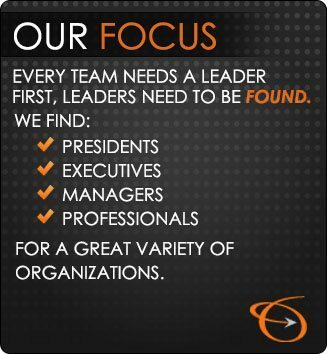 Headhunters, because they do executive hiring all the time, are in a position to see the whole picture and will send you candidates with the potential to be the leader you need. You need extensive vetting. 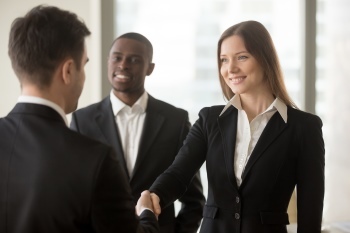 When you hire a senior executive, you are making a big financial commitment for salary, benefits, contracts, and administrative costs that result from a new high-level hire. To justify your investment, you need to do more than a cursory reference check to make sure that the candidate has the right experience and confirm the results that might be listed on his resume. Doing your due diligence is time-consuming and costly, but worth every penny. You want to make sure you have the best candidate. You may do your business in a specific geographic area because of the availability of a skilled labor force, but the executive you need to assume the role of president or CEO might not be local. Headhunting firms have the ability to search far and wide for the best candidate. Especially if you choose a firm with a wide network of resources or one that is well known in industry hiring circles, you increase the chances of finding a talented person who can bring what you need to the position. You need a peacemaker. When companies seek out new leadership, there may be intense disagreement among the management staff about the proper direction the company should go and about the type of person that should be at the helm. Headhunters are in a position to know the company and its culture while seeing things from an arm’s-length perspective. They can find candidates with different strengths that might represent an appropriate direction more easily and impartially than internal employees can. Hiring is never a perfect process, so even headhunters occasionally make missteps and present candidates who are hired and then don’t work out. However, using an executive recruiting firm improves the chances that the new leader will be just what your company needs. Offering over 40 years of experience as Milwaukee headhunters, the Lawler Group serves the recruiting needs of companies large and small throughout the country. As members of the worldwide MRINetwork, the company finds leaders to fill positions such as president, executive, or manager. The company also finds candidates for sales and sales management positions.